Use the browser's vertical & horizontal sliders to move around the picture. If you've come from Stumbleupon, then use the left & right arrow keys to scroll around the picture as well, because unfortunately, Stumbleupon removes the horizontal scroll bar. 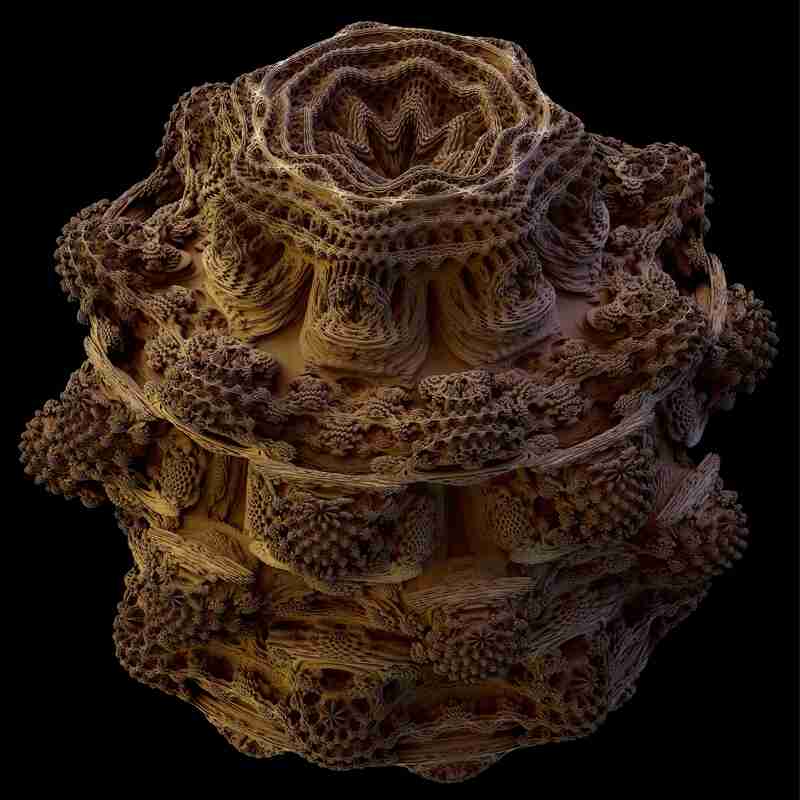 To cut a long story short, this giant picture below is a 3D version of the classic "Mandelbrot" fractal. Visit this page for more amazing pictures, and the background of this new discovery. A high quality print is also available here (featuring 7500x7500 pixel resolution, instead of 4500x4500, and better quality in general).